October 17, 7-8pm (TBD). GOD: Who, What, Where, When and How? Wednesday, May 8, 2019—The 2019 Dr. And Mrs. Max Littner Memorial Lecture Series for Bereavement. “Loss, Grief and the Quest for Meaning” Robert A. Neimeyer, PhD. Please see Enid Rank if you would like to attend. Tickets are $10.00. Friday, May 3, 2019, 7:00pm—Greater Baltimore Fellowship Choral Union in Concert at Christ Lutheran Church, Hellertown, PA (69 Main Street, Hellertown, PA 18055) Enjoy an evening of spirited gospel singing with this special choir coming to visit from Baltimore, MD! This event is free and open to the public. Come, Share the Spirit! This Choral Chapter is an affiliate of the National Convention of Gospel Choirs and Choruses Inc. Organized September 20, 2014. ON SUNDAY, APRIL 28 at 10:00 A.M.
Christ Lutheran Church, 69 Main Street, Hellertown, will celebrate its youth with a special Youth Sunday worship service on Sunday, April 28 at 10:00 a.m. The entire worship will be conducted by the youth of the church. All are welcome. A highlight of Youth Sunday will be the awarding of two scholarships worth $3,000 each to Eliza Stoeckley, a senior at Liberty High School in Bethlehem, and Melissa Harley, a senior at Southern Lehigh High School in Center Valley. Eliza and Melissa will read their scholarship applications during the worship service. Join Pastor Phil in the church library every Sunday, 9:45 am to 10:45 am. Extend your hour of worship with an hour of Adult Christian Education. 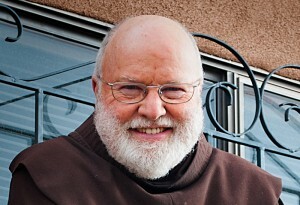 “Embracing an Alternative Orthodoxy” Father Richard Rohr on the Legacy of St. Francis. Atonement Theology — Why did Jesus die? Eco-spirituality — What does it mean for humanity to “Subdue” the earth? These topics will be addressed thru a DVD presentation and work books for each participant. Join Pastor Phil as we delve deeply into these relevant topics of faith, life and the future of Christianity. Sunday, March 10, 2019 — This favorite women’s ministry is back! Sign-ups for a new year of Secret Sisters will begin March 10th in the Narthex during Bold Women’s Sunday. All ladies participating will receive a “Secret Sister” to pray for and to encourage throughout the year. The end of year finale is a Revelation Party to meet your new “Sister”. All ages are welcome. Anne Baum has graciously offered to take over this ministry for 2019-2020. Stop by the Secret Sister table in the Narthex on Bold Women’s Sunday or email Anne Baum at annebaum@verizon.net for more information. Calling all youth that have completed grades 1-12 to spend a remarkable week living, playing, and growing together in God’s creation at Bear Creek Camp. This year’s theme is Step By Step! Registration is now live on the Bear Creek Camp website www.bearcreekcamp.org. There are several ways to get a discount while registering. First, Christ Lutheran Church offers a $100 discount per camper for anyone sending their child. To take advantage of this discount type in CLH2019 where it says church discount. You can get the second discount by typing in BCC2019! Where it says (BCA Discount). EARLY BIRD discount is $15 off for all those register by March 1, 2019. If you have any questions about what Bear Creek Camp has to offer or how the registration process works please contact Mark Stana at markie1017@hotmail.com. Chime Choir Rehearsals will be starting back up…or “Bach” up. Same day, earlier time. Meet in the sanctuary on Thursday, February 7 at 6:45pm. We will be rehearsing each week to play in church on April 7. Rehearsal dates: February 7 & 21, March 7 & 21 and April 4.